Aspen is a common name for Tree of the Salicaceae family,The five typical aspens are all native to cold regions with cool summers, in the north of the Northern Hemisphere, extending south at high altitudes in the mountains. The White Poplar, by contrast, is native to warmer regions, with hot, dry summers. These trees are all medium-sized deciduous trees ranging 1530 metres tall. All of the aspens (including the White Poplar) typically grow in large clonal colonies derived from a single seedling, and spreading by means of root suckers; new stems in the colony may appear at up to 3040 metres from the parent tree. Each individual tree can live for 40150 years above ground, but the root system of the colony is long-lived. In some cases, this is for thousands of years, sending up new trunks as the older trunks die off above ground. 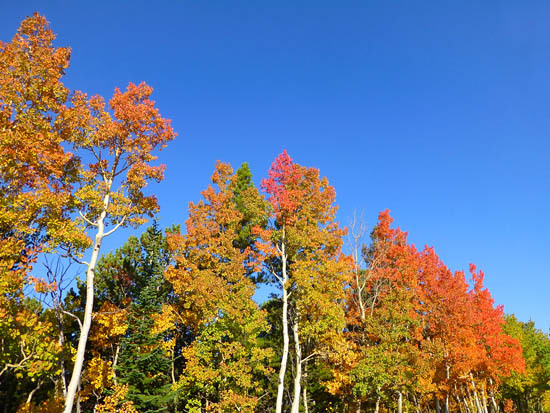 However, aspens do not thrive very well in the shade, and it is difficult for aspen seedlings to grow in an already mature aspen stand. Fire indirectly benefits aspen trees, since it allows the saplings to flourish in open sunlight in the burned landscape. Aspen wood is white and soft, but fairly strong, and has low flammability.